The defense for San Diego’s official “America’s Finest City” moniker is found in ever Pacific sunset, every climatically ideal afternoon, and every accommodation boasting fine coastal quality. It’s no secret that Southern California does easy living the right way, and a San Diego vacation deservingly headlines a list of must-visit west coast destinations. Regardless of the time available for you in the city, from a few hours to days to spare, you can make the most of what promises to be a life-changing visit, with the following bucket list San Diego attractions. You won’t have to venture far from the downtown district to catch a glimpse of the USS Midway, a once-formidable American aircraft carrier, commissioned post-World War II. The largest vessel in the seas until 1955, the USS Midway today exists as the gem of the San Diego Harbor, a functioning museum for historic and educational purposes. Open 10 to 5, seven days a week, the USS Midway Museum is the affordable ticket to immediate adventure in San Diego. You’ll venture through dozens of independent spaces, everything from sailor quarters to common areas to the command center, on the bridge. A carrier which once transported roughly 140 seamen will instead provide the perfect setting for oceanic intrigue, where you can walk the carrier’s interiors and decks at your own pace, or take advantage of a guided, or self-guided tour! 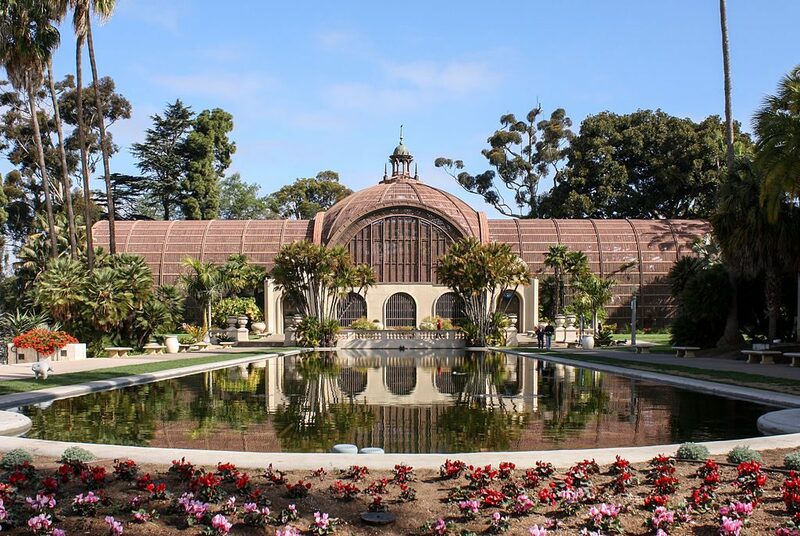 The perfect excuse for a day of easy recreation in San Diego goes by the name Balboa Park, a 1,200-acre communal park characterized as much by its wide walking paths and culturally-themed corners as by its award-winning collection of gardens and museums. It’s the perfect place for an afternoon stroll, a family picnic, or some accelerated cultural immersion. Balboa Park also plays host to the internationally acclaimed San Diego Zoo, home to more than 650 individual species. The park itself is one of the oldest of its kind in the entire United States, and is entirely available for public use. Both the Panama-California and the California Pacific International Expositions permanently impacted the park’s rich architecture, and the grounds have earned a place on the National Register of Historic Places. From its San Diego Art Institute to its Japanese Friendship Garden, the Balboa Park is one place you have to check out. You’re only a ferry ride away from experiencing one of the west coast’s foremost historic attractions: the Hotel del Coronado. Even if you’re not a guest of this award-winning beachfront resort, the property itself has so much to offer even the casual passerby! Enjoy some oceanic rejuvenation, and take life at a pace comfortable for you, at Hotel del Coronado. Enjoy pastries and other goodies made onsite, and walk the row of boutique shops located under the resort itself. Outside, resort grounds lead directly to the shoreline, your ticket to the perfect sunrise, sunset, or day by the ocean! During select winter months, the resort even offers ice skating, only steps from white Pacific sands! Become the newest satisfied visitor to this 1888 oceanic resort in San Diego. 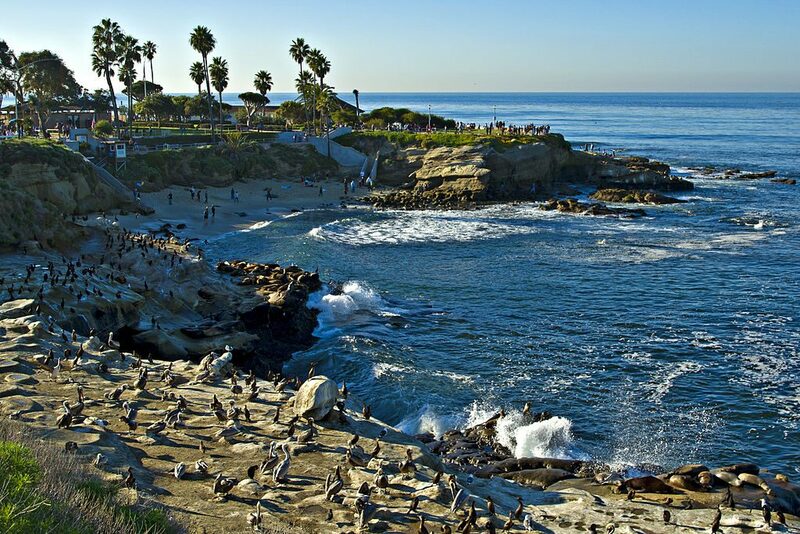 For a worthy introduction to the glorious of San Diego sunshine, you’re going to want to make a trip down to the La Jolla Cove. A public, picturesque inlet in Southern California, it’s a stretch of coastline known as much for its fancy cars and easy living, as it is for the aquatic residents which decorate the coastline: seals and sea lions. Tide pools also etch the shoreline, together with concrete steps leading up to steep cliffs. Be sure to bring your camera along for the journey, especially on clear days. Try your hand at some offshore snorkeling, or receive a scuba diving certification to venture even deeper under the surface of the water. You can always rinse off at the public showers after a productive day exploring the cove itself. To satisfy your every retail need, Seaport Village in San Diego exists as the virtual shopper’s paradise. Complete with a working carousel for younger children and their families, Seaport Village proves equal parts adventure and shopping haven, all rolled into one. It’s time to cross a go-to retail staple off your San Diego bucket list. Forty-five unique shops await your indulgence, at a Seaport Village optimized for guest satisfaction. From a constantly rotating series of local, onsite artists, to the homemade products available exclusively at California Candle Gallery, you’ll find the perfect souvenir, birthday gift, or coastal keepsake on the premises. And with their Greek and music-themed events, there’s always something happening at the Seaport Village that warrants a visit! A coastal amusement park with an undeniable retro ambiance, San Diego’s Belmont Park is no stranger to fanfare. Since 1925, when John D. Spreckels opened his virtually beachfront property as one of the region’s first amusement park, the park itself has existed as much as a local novelty as it has a regional treasure. Today, Belmont Park plays host to a wide variety of attractions on the premises, including roller coasters, bumper cars, arcade games, a Tilt-a-Whirl, and more. One of the unspoken gems of San Diego’s Mission Bay area, Belmont Park also houses the Giant Dipper, one of the park’s original wooden roller coasters, which has helped the haven for adrenaline-inducing thrill to earn a place on the National Register of Historic Places. Witness San Diego history at California’s own Belmont Park. Not to be confused with the already world-famous San Diego Zoo, the San Diego Zoo Safari Park is an immense, diversified wildlife sanctuary, home to an extensive variety of species otherwise heavily threatened in the African wild. Through both dedicated conservation efforts, and the promotion of endangered species awareness, the San Diego Zoo Safari Park widely succeeds in its efforts to reinstate animals of all species back into wild habitats, for the perpetuity of the species themselves. With over 300 species on the premises, this habitat doubles as the largest veterinary hospital in the entire world, and contains an array of free-range enclosures, which successfully segment species according to wilderness compatibility. This is you chance to gaze upon animal species you’d never otherwise witness, everything from leopards to antelope, giraffes to tigers, flamingos to rhinoceros. Be sure to check out the signature product of the park itself, the California condor breeding program! No matter how long you have to spend in the San Diego region, each and every item on this must-see list can provide you with an immediate taste of the local culture, together with a slew of memories you’ll treasure for the rest of your life. Whether you’re personally feeding a giraffe, snapping photos of wild sea lions in La Jolla Cove, walking the excellently-maintained Balboa Park gardens, or drinking in the history of the USS Midway Museum, San Diego can more than satisfy your quota for excitement. Upgrade already lofty expectations, and take San Diego up on its offer of authentic, coastal hospitality! 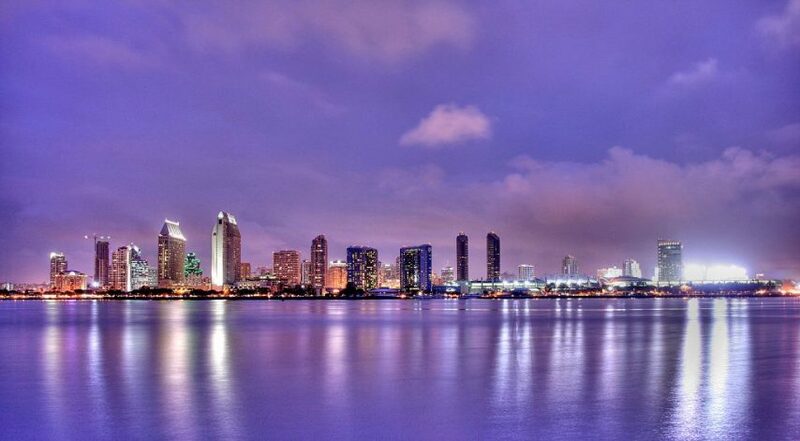 If you are looking for more activities at night in San Diego, or even recommendations on vacation rentals in San Diego, check out Trip101.